THE REVOLUTION OF IVY is the sequel to THE BOOK OF IVY, and we're excited to have Amy Engel join us to chat about writing. Amy, how long did you work on THE REVOLUTION OF IVY? All told, it took me about three months (maybe a little less) to write REVOLUTION. And it was a pretty clean first draft so there wasn’t copious editing I had to do before I turned it in to my editor. I always knew the story would pick up immediately after the end of the first book and I knew how the series would end. But I figured out the rest as I went along, which is how I write all my books. I wrote one YA novel before THE BOOK OF IVY. I sent query letters to about 25 agents and quite a few requested the full, but in the end I didn’t get any offers. I debated trying to rework that novel or just trunking it and eventually decided it was my “learning” book and set it aside. The next book I wrote was THE BOOK OF IVY and again I sent out queries to agents, about 15 this time. And again, I didn’t get any offers, although I did get a lot more positive feedback. The majority of agents who read the book said they loved it, but that dystopian books were falling out of favor with publishers so they weren’t sure they could sell it. But I still felt like IVY could be successful if someone would just give it a chance. So I began to research reputable mid-size publishers that took un-agented manuscripts and found Entangled Teen. I sent them a query, they asked for the book, and about two months later they made me a publication offer. Entangled Teen has been fabulous to work with and their support of IVY has been a dream come true. This got a little long-winded, sorry! In between writing THE BOOK OF IVY and THE REVOLUTION OF IVY, I wrote a gothic suspense novel aimed at an adult audience (and by adult, I mean age-wise, not adult like 50 SHADES OF GREY) called THE ROANOKE GIRLS. I set it aside while I finished REVOLUTION and then started the agent hunt once again. I queried fifteen agents, ten asked to read the book and I ended up with five offers. I signed with Jodi Reamer (who is amazing, by the way) and she sold THE ROANOKE GIRLS to the Crown imprint of Random House a few months ago. So right now I’m working on edits of TRG with my editor. Once those are done, I’m going to dive into something new, although I’m not sure what exactly. I have several ideas floating around in my brain and haven’t settled on one quite yet. 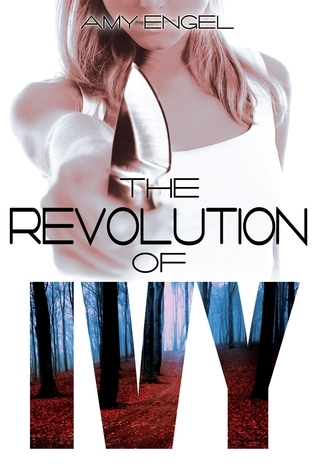 Have you had a chance to read THE REVOLUTION OF IVY yet? Do you figure out your plot as you go along? Have you set aside a novel as your "learning" book?